Mathematics right from the very beginning have always been a compulsory subject, it is an essential component of any school and also an important driver of innovation in our technology world. A lot of students who are weak in maths have always sort for an easy way to tackle or solve some common maths problems, but all efforts so far seems to prove abortive. Imagine you are a 23 year old college student, and you have been given a difficult math exercise to submit the next day, there is a chance that you are likely to run out of ideas on how to solve the given math problem. Also Read: How To Control Your Android With Your Face Or Head. But what if you can open an app on your phone, position your camera towards a textbook​, scan a picture of the math problem and have the result presented to you with detailed step-by-step instructions​ on how the equation was solved. This techniques is quite possible, if only you are able to discover the perfect app that can magically solve math problems using the camera on your Android device. Without further ado, here’s how to use the world’s smartest camera calculator to solve math problems with ease. To begin with, head over to the Google Play Store and install Microblink’s Photomath Camera Calculator app. The app is built on real-time machine vision technology, and i must say… It’s a super concept, considering the fact that it allows you to solve millions of math problems instantly while allowing you to learn and master mathematics with tips and tricks. Once you open the app, you will be greeted with an instruction on how to use the app to solve math problems. Simply tap on the next arrow or swipe through to skip the steps. Then tap “Done” to enter the app’s camera section. From here, get a math textbook or a piece of paper containing the math problem you which to solve. 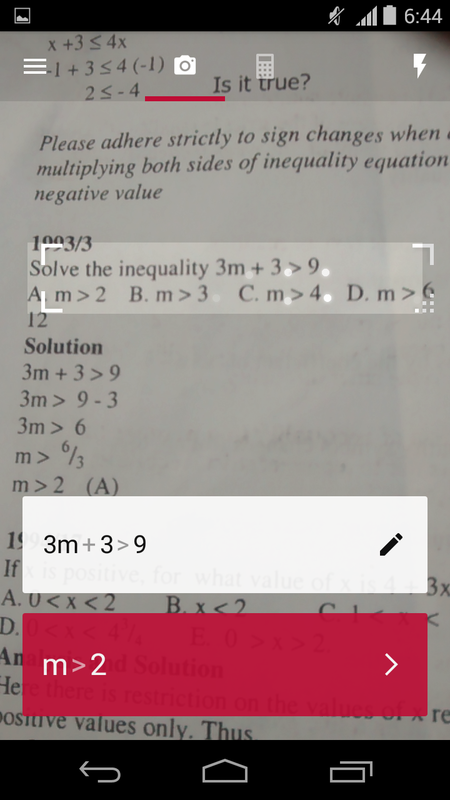 Then point your camera towards the intended math problem, photomath will automatically scan and show the result with step by step instructions on how the equation was solved. 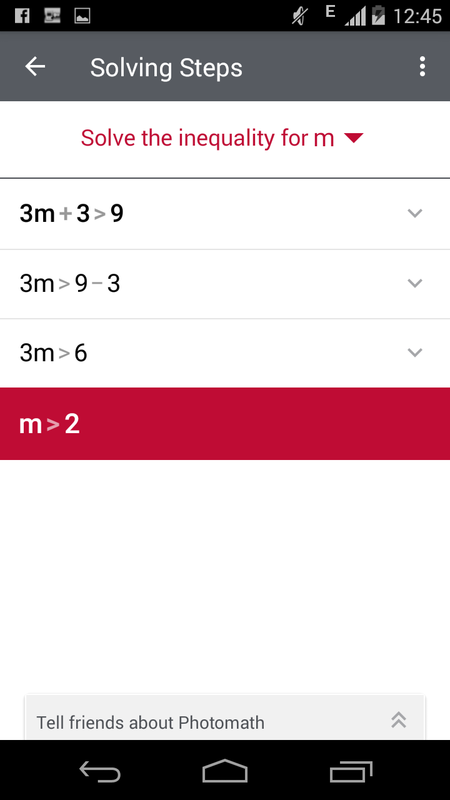 Drag to expand the rectangular shape in the middle of the screen to enable photomath in scanning more math problems, but do this with caution, as the app will try to take other numbers around the equation into calculation, thereby giving you a wrong answer. Before now, photomath deals with printed letters only, but the app can now recognise your messy handwriting. There’s a flashlight​ icon located at the upper right corner of the screen, you can turn it on during the night to enable photomath in scanning math problem. 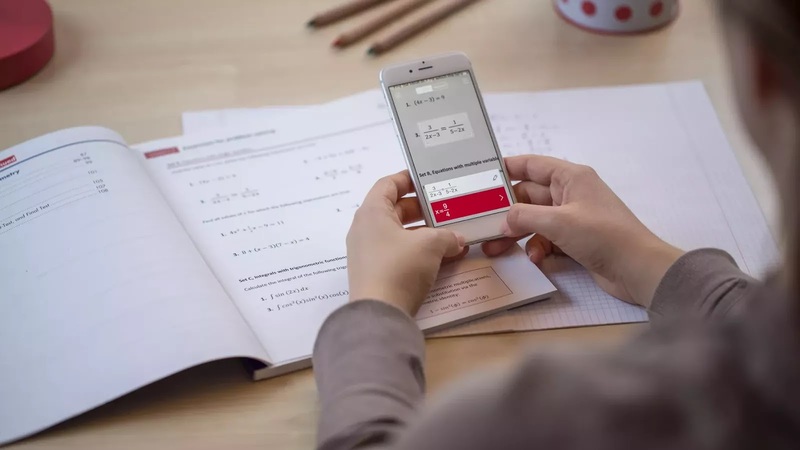 Once you tap on the result, photomath will provide a step by step instructions on how a simple math problem was solved. The app also brings a smart calculator that allows you to edit math problems with ease. This is one of the cool feature i love in photomath, as the auto scanning can sometimes seem to be annoying. 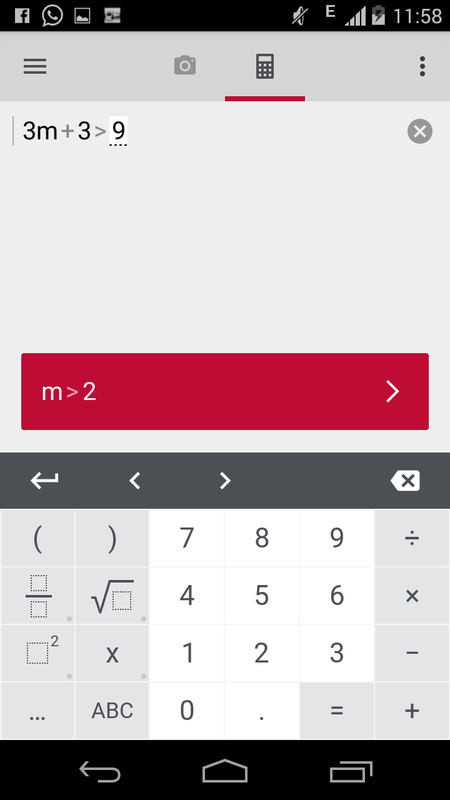 Photomath brings supports for 20 languages and it can solve math various problems such as equations, inequalities, integration and many more. Having discovered photomath, I’ve come to acknowledge it as been one of the best and most essential educational app on Android. The only downside of the app is its inability to enable users to capture or take a picture of an exact equation or intended problems. We’d hope this feature will been added in the app’s next update. 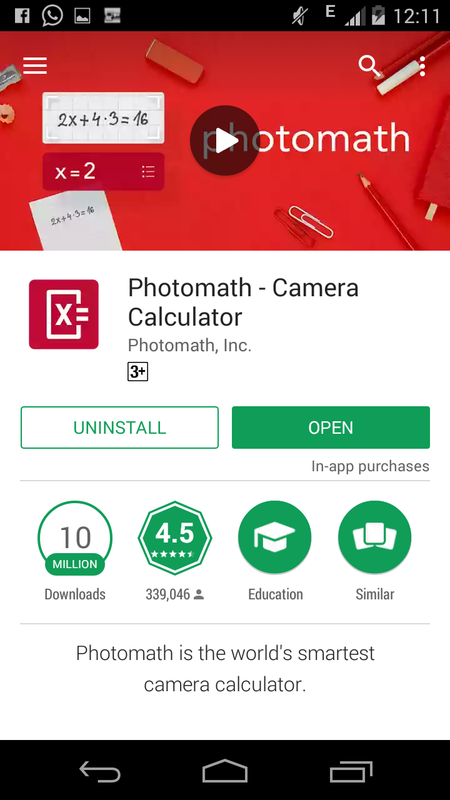 Overall, photomath camera calculator can help you to learn and solve math problems easily.